“Banquet” linens on banquet tables. 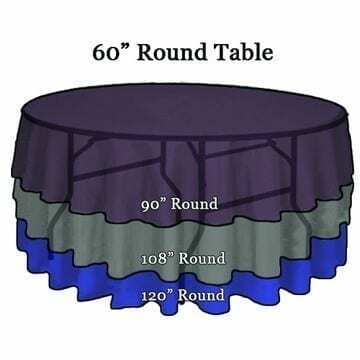 “Round” linens on 60″ round tables. 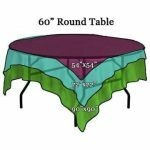 “Square” or “Overlay” linens on 60″ round tables. 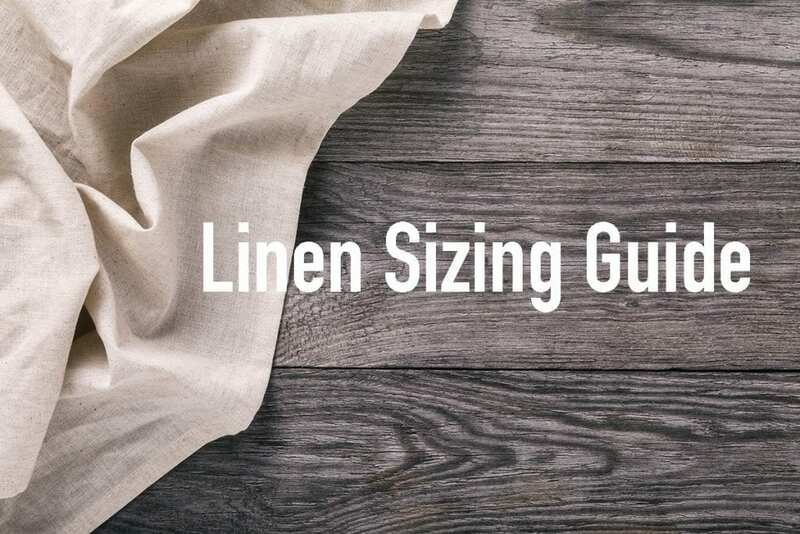 This guide will help you select the best linen for your table size, whether your renting tables or have your own tables or a mix of both. 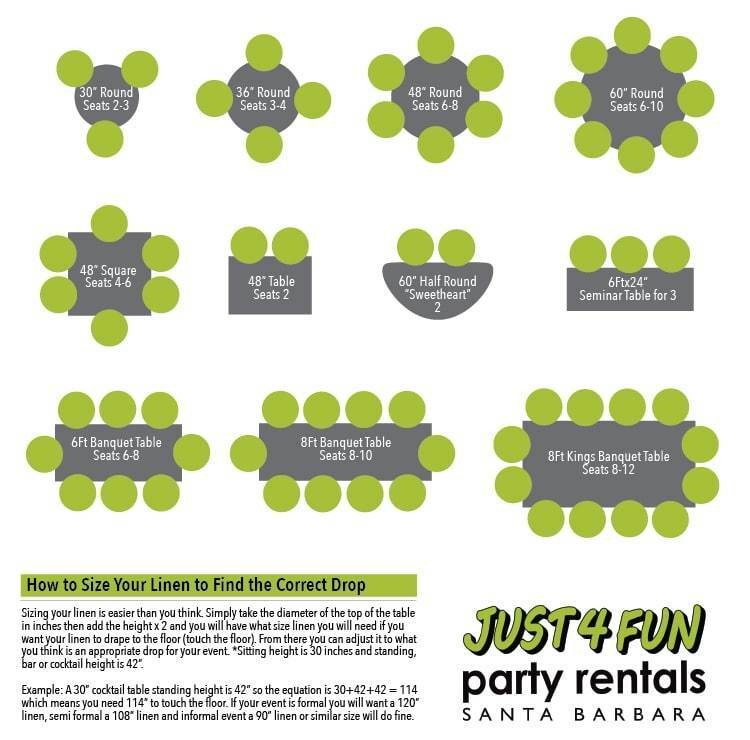 The chart below cover the basic table type which will help you decide what size linen is best for your event. About Tables Measurements: The size of the table is referencing the diameter of the top only. If in feet, convert that size into inches to decide which size linen you will need. 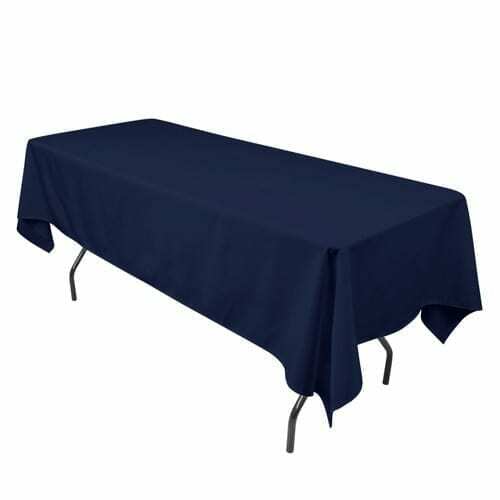 For example a standard 6 foot banquet table is 72 inches x 30 inches with a 30 inch drop to the floor. For this example you will need 72 inches of fabric for the table top plus your desired drop. 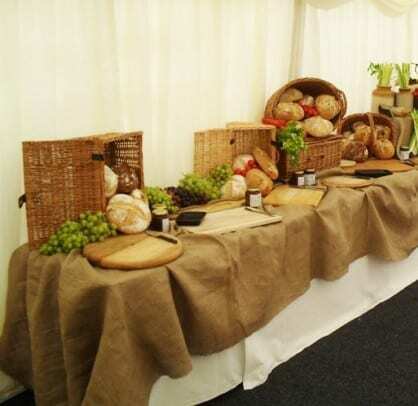 A standard banquet linen for a 6 foot table is 96 inches long x 60 inches wide (8 foot banquet linen). 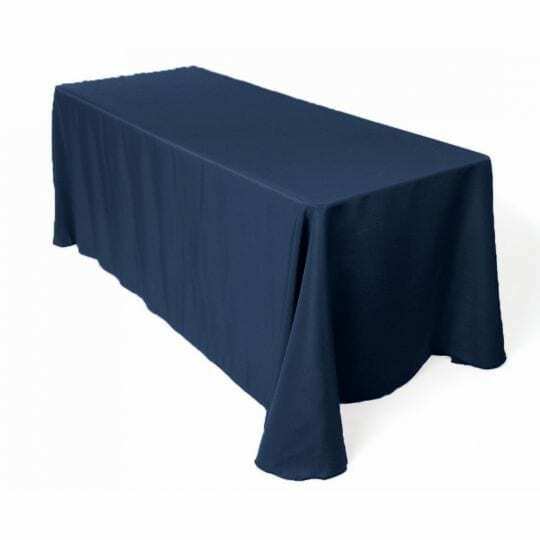 Drop/overhang: Is the length from the edge of the table to seem of the fabric. 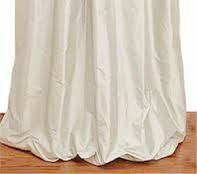 If this is from the edge of a sitting table to the floor then you have a 30″ drop off we call that a full table drape. A cocktail table or pub table has about a 42″ drop. Full Drop/Table Drape: A linen that covers the entire table all the way to the floor. Puddle Drop: A linen that covers the entire table all the way to the floor and has extra fabric creating a puddling effect.